We are all individuals, with different opinions and ideas, we all have individual needs when it comes to education. Everyone processes information in their own way, and knowing how best you learn can assist you in optimizing your studying process, and help you to retain more information. Most courses require you to recall material on a vast variety of subjects, as well as to be able to apply the information in real life situations. As such, it is important to tailor your personal learning environment so that it is easier for you to gain a deeper understanding of these topics which goes beyond simply memorizing and relaying basic facts. Being knowledgeable about your own learning style, and how to tailor an efficient learning environment to your specific needs, will be advantageous when doing personal study. Many people have heard of the concept of ‘learning styles’ but what does the term mean? Simply put, a learning style is the way in which you, as an individual, best observe and process information. People perceive stimuli from their environment through their senses, and the same is true of academic learning; just as the basic senses are touch, sight and hearing, the three most widely recognized learning styles are Kinesthetic (physical) learners, Visual-spatial learners and Auditory-Verbal learners. Kinesthetic learners benefit from being able to physically interact with stimuli to gather information. If as a child you found it easier to learn to tell the time by moving the hands of a clock, or used real currency to learn how to count change, then it is possible you are a kinesthetic learner. As a person who retains information by physically interacting with it, it is important for you to find ways to bring information off of the page and into your reality. One way to do this might be to tape information cards around various parts of your home, and when you walk into a room and engage with an object, the information will become associated with different areas of your house. For example, if revising specific vocabulary, taping an information card to your bedroom door might help you to recall the meaning of that word whenever you step into your room. Visual-spatial learners often prefer to use color, images and other forms of visual media when creating study resources. Virtual-Reality educational systems are even being developed to meet the needs of visual learners and people who would better engage with materials in this sort of alternative medium. This is also something which would benefit kinesthetic learners, as VR has the ability to create a virtual learning environment that people can actively engage in. However, until such high-tech systems are widely available to consumers, visual and auditory learners can benefit similarly from watching videos as part of their studies. Utilize resources such as college classes from Study.com, which provide video classes to suit a range of curriculums. Their videos deliver relevant information in a short, face paced format which is easy to understand. This is a great way to support your studies in your spare time. Visual Learners can also benefit from such study techniques as: highlighting large passages of text in notes, creating bubble maps and storyboards, or designing picture flashcards. Auditory learners retain information best through sound, such as by engaging in conversation. If you are an auditory learner, you may find that you struggle with personal study, as attending lectures and interacting with peers in classrooms is an effective learning tool. However, this can also be replicated when studying outside of school. Try repeating facts aurally, taping information videos to listen to, or creating rhymes which are easily recalled. It would also be beneficial to invite other students to study with you, as conversing is an active form of auditory learning. As an auditory learner, you may think it beneficial to listen to music while studying, but unless the music is educational you may find it has the opposite effect on your memory recall. 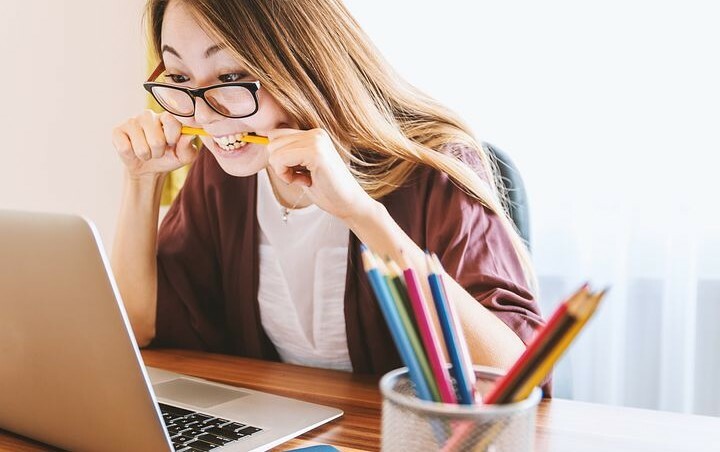 Noisy disturbances which aren’t relevant to study may distract your attention away from your work, so try and find quiet areas to work in when studying. The concept of learning styles does not limit you, or mean that you cannot learn in other ways. On the contrary, most people don’t have just one learning style, and will benefit most from a combination of a few. For example, you can be a great visual-spatial learner, but also benefit from physically touching and manipulating study materials. Finding your learning style simply means optimizing the stimuli you use to study in order to gain the most benefit out of your personal learning experience. The constructivist theory of cognitive learning, which is widely recognized by several notable psychologists, suggests that in order to be successful learners, students must construct learning for themselves, and be an active agent in their own education. A number of institutions have employed active learning techniques into their education style in order to gain better engagement from students in their studies. However, it is also important to continue to incorporate active learning when you are studying outside of organized education, and employing your personal learning techniques an effective way of doing so. As well as tailoring the way in which you learn to your individual needs, you should also ensure you are working within the correct environment. An informal learning environment is fine for those who work best in a more relaxed atmosphere, but would not be beneficial for those who are easily distracted. Sitting at a desk can help increase efficiency, because you associate this more formal environment with being productive. Background noise can be distracting to some, such as it might be for auditory learners, however, some individuals may find that it is calming to have a small quantity of noise present to detract from the pressure of revision. You should also try and keep factors such as temperature and brightness from being too extreme when studying, as this can also create a disturbance. Taking regular breaks when studying is incredibly important, as this will increase your productivity, willingness to learn, and ability to retain information. Sitting down for too long can become uncomfortable, and may cause you to lose concentration. Try and find a balance between studying and finding time to be mobile. For example, try studying for periods of 20-30 minutes, and then take 5-minute breaks in between to get up, stretch and recharge. Whether you employ all of these techniques into your studies, or only a few, as long as you tailor your education to your individual needs, you should find that you benefit from making a few small changes to how you study.